Queensway's Starbucks team in Kidderminster celebrated the official opening of their very first Drive Thru store on Friday 4th August, with a fun-filled day of activities for the whole community to enjoy. The celebrations kicked off with an official ribbon cutting by the Mayor of Kidderminster, Cllr Nicky Gale and Cathy Slogan from Kemp Hospice, the store’s local community partner. Throughout the day, the team hosted coffee tastings where customers could learn more about the origins of Starbucks coffee and enjoy different blends. 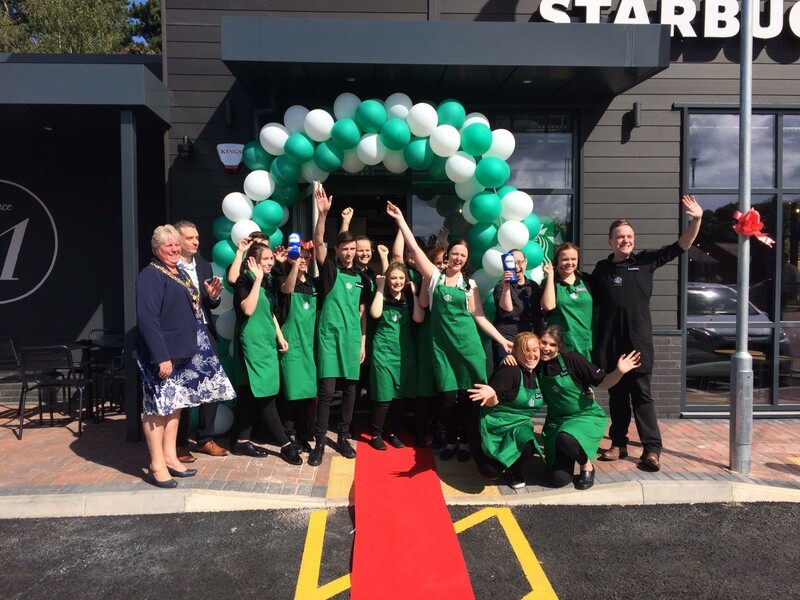 This is the first Drive Thru Starbucks store to open in the Kidderminster area and has created 12 jobs for the local community.